Breastfeeding frequently while mother and baby are together is the best way to establish and maintain an adequate milk supply. 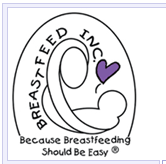 If there is a supply problem, a lactation consultant or La Leche League Leader can help to suggest solutions. • Set the alarm early so the baby can be leisurely fed before your busy day begins. 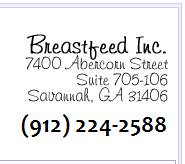 • Fit in another feeding before leaving home or when dropping the baby off at the caregivers. Keep this extra time in mind so that mother and baby do not feel rushed. • When picking up baby or returning home at the end of the day, take time for another nursing before doing anything else. Many women have said that this is relaxing and helps them make the transition from employee to mother. • Allow time for frequent unrushed feedings at night. This will help to maintain an adequate milk supply. • Spend weekends and days off nursing on demand. Some mothers report that their milk supply is lower by the end of the week.